Unsure of whether or not you should be using a sulfate-free shampoo? You’re definitely not alone. It seems like there’s always a new chemical in the spotlight, from phthalates right through to paraben-based preservatives, and this can make it hard to keep up with important news about the pros and cons of various additives. Over the last 6-8 months, the chatter has definitely been focused on the potential dangers associated with sulfates like SLS, with numerous hair and beauty blogs talking about the dangers that they pose to sensitive scalps and dry hair. And if you’re one of the people that should be avoiding sulfates, understanding all of this is absolutely essential. Although any damage is reversible, there’s plenty of evidence to suggest that sulfates can cause short-term irritation, and damage to individual hair strands that you’d probably rather avoid. We’ve put together this guide to help you decide whether or not you really need a sulfate-free shampoo, and to help you find the perfect product if you do. Sulfates are actually fairly powerful detergents. They’re prized for their ability to cut through grease and they’re also added to shampoos because they help to build up a thick, sumptuous lather. If you’ve ever filled the shower with cascading soap bubbles, or crafted yourself a whacky in-shower hairstyle, you’ve had first-hand experience of the intense lathering power that’s often associated with sulfates. When it comes to their grease-busting ability, sulfates are also pretty much unparalleled. They have the ability to emulsify the excess oil that builds up over the course of a busy day at work, and they also act as a surfactant; lowering the surface tension of water so that it can lift away particles of dirt and grime. There are some fairly significant disadvantages though. As discussed later in this article, sulfates are known to strip some of the good oils from your hair, and large concentrations can dry hair out in a matter of days. Before we get down to the details, we’ve provided a few top-tips on spotting sulfates, and some notes that are designed to help you weigh up the pros and cons according to your own, individual hair-care needs. Never noticed ‘sulfate’ listed on your shampoo bottle? Chances are that you’ve still been using shampoo that contains a sulfate of some description. This is because sulfates are actually a family of chemical compounds, each of which tends to be individually named on labels in order to comply with EU regulations. This can make spotting sulfates quite difficult, particularly if you’re in a rush, or are just skimming the ingredients list for a general idea of your chosen shampoo’s chemical components. Now that it’s a marketable asset, a great many manufacturers are sticking a sulfate-free label on their products, but it still pays to be careful, particularly if you do have dry hair or a sensitive scalp. There are other sulfate compounds, but they’re rarely used in shampoo, so the absence of the above ingredients does mean that you are 99.9% certain to be safe. Natural beauty advocates have been warning people about the dangers of sulfate-rich shampoos for quite a some time now, but working out exactly how bad they are is actually quite difficult. A lot of the rumours about sulfates causing cancer or poisoning the environment are hugely overblown – there’s no evidence to suggest that these compounds build up in the water supply, or poison fish, and numerous peer-reviewed studies also reveal that there’s no risk of them interfering with cellular health either. That said, there are some situations in which sulfates can damage your hair: they are quite powerful surfactants, which means that they can take too much moisture away from hair that’s already quite dry, leaving you with wispy, frizzy locks that are hard to control, and even harder to style. Sulfates also lift the cuticles that coat individual strands of hair; exposing the cortex to moisture, and increasing the chances of breakage, split ends or slowed growth. 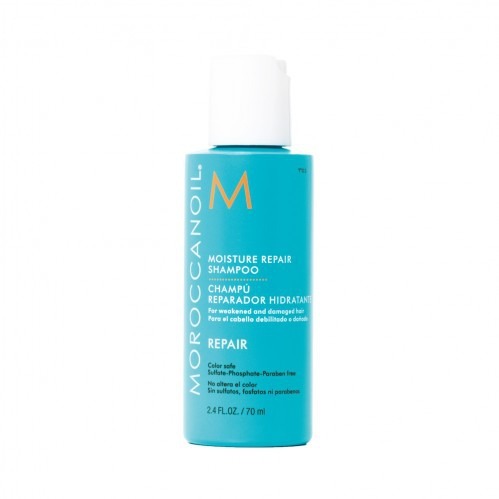 There is some evidence to suggest that strong sulfates can strip away important peptides, proteins and water-resistant oils too, which can cause more long-term damage. For those of us with sensitive skin, there is a risk of scalp damage too – sulfates are strong chemicals, and they cause irritation if they build up in your hair. This is particularly important if you suffer from eczema, or react to a lot of standard, of-the-shelf cosmetics. Because they lift hair cuticles, sulfates are also known to allow the large dye polymers that are added during the colouring process to escape from your hair. 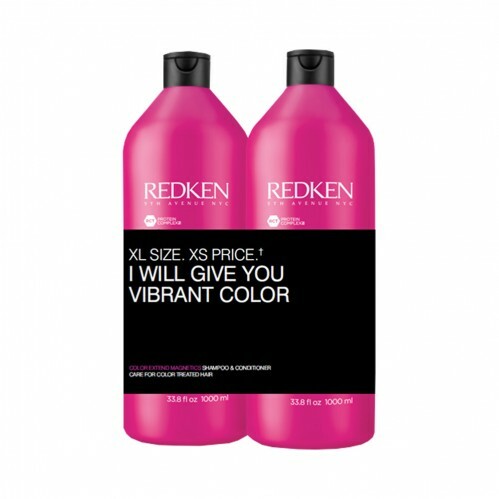 This speeds up the rate at which hair dyes fade, and forces you to replenish colours more often. Sulfates also strip lipids from the surface of your hair, which means less protection from humidity, and a greater chance of general damage to individual strands. Over time, the lack of oily protection, enhanced by the harsh dyeing process, can cause permanent damage to your hair, and make it very brittle – preventing you from re-dying, and forcing you to let your hair grow out to combat the damage. 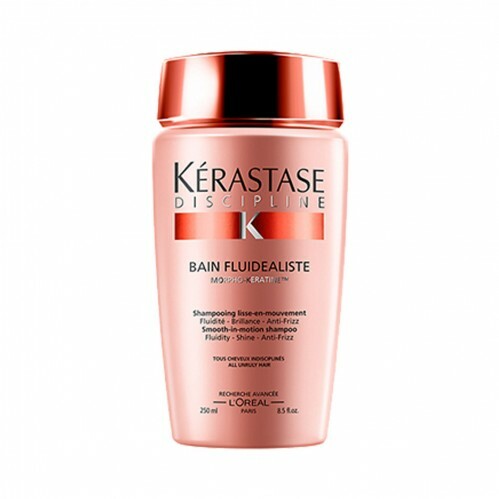 If you have greasy hair, don’t generally suffer from dry hair, or don’t have any issues with skin irritation then sulfates are probably a-ok. Aside from the negatives outlined above, there’s nothing inherently wrong with these compounds, and they are particularly good at cleaning hair that’s prone to the buildup of excessive oils. 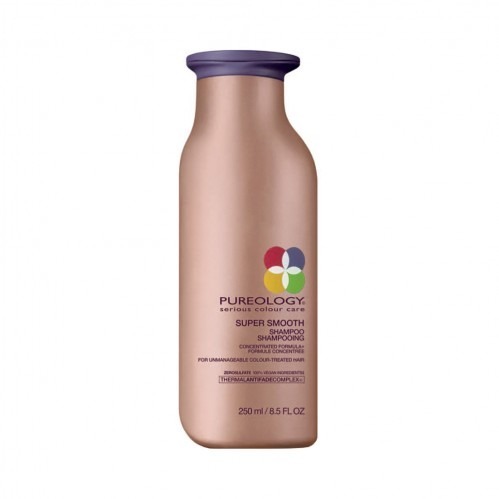 If you do have dry hair and/or sensitive skin, it may well be worth trying a sulfate-free shampoo. sulfate-free shampoos are also essential if you want to colour your hair, and don’t want the dye to start fading straightaway. Note: Sulfate free shampoos don’t lather quite as well as their sulfate-rich cousins, but they do still clean equally well, and often contain additional ingredients to ensure that they’re just as good at removing dirt and grime. To help you pick the right sulfate-free shampoo, we’ve pulled together a list of our favourite products, and organised them according to the issue that they’re best suited to treating. All of these products are ideal for sensitive skin, and should save your scalp from irritation. 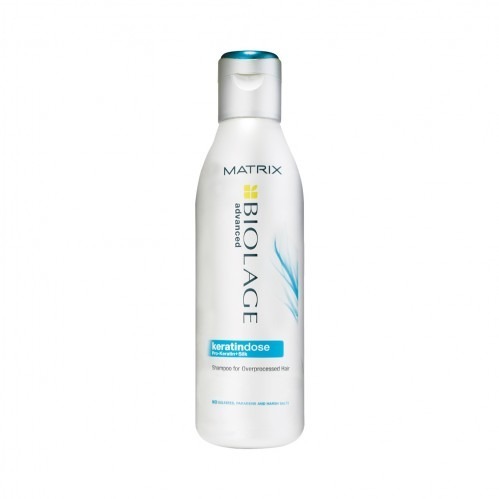 If your main complaint is that your hair is wispy, dry or generally lacking in shine, Matrix Biolage and Moroccanoil both make a some really hydrating sulfate-free shampoos. 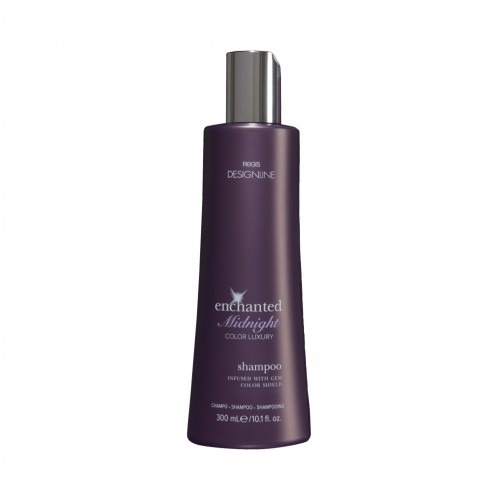 Paul Mitchell also make a special shampoo that uses wild ginger to enhance your hair’s shine. All three of these shampoos contain ingredients that are designed to nourish and hydrate your hair, without stripping away its protective oils, or damaging the cuticle. 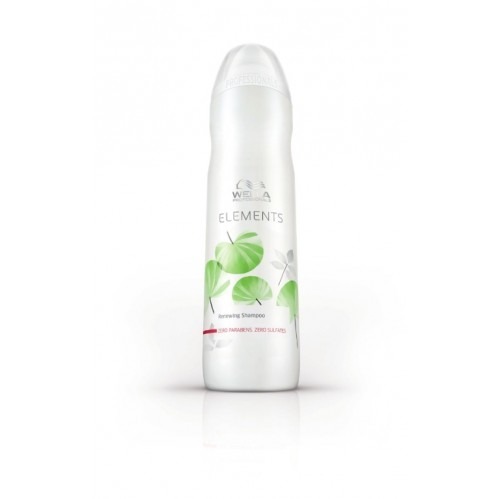 Sulfate-free shampoos are also a great way to minimise frizz. Unlike regular shampoos, they don’t lift the cuticles of your hair, which means that moisture can’t penetrate, and hair can’t frizz up after washing. Kerestase make a good frizz-taming shampoo that’s sulfate-free, and we’re also a huge fan of Wella’s Elements Renewing shampoo, which is a favourite among our stylists. If you’ve already damaged your hair by using a sulfate-rich shampoo, you’ll need something that’s slightly more nourishing. 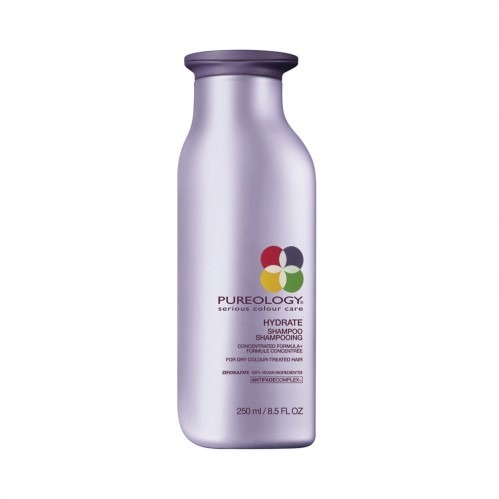 We stock a few choice products that are designed to heal the sort of damage caused by sulfates, including options from Fudge and Pureology, whose hydrating shampoo is an ideal solution for dry hair. 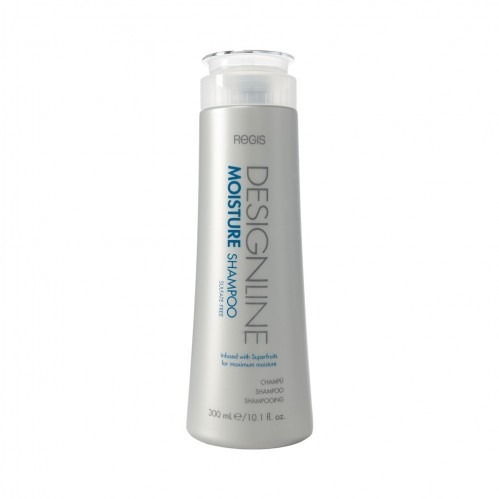 Designline also make a moisturising shampoo that’s great for hair that’s been stripped of its natural oils. If your hair is dyed, you’ll be thrilled to know that there is also a range of sulfate-free shampoos that are specifically designed to protect colour and prevent fading. 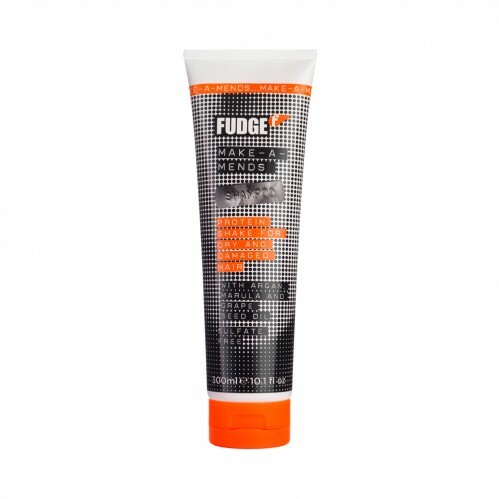 This includes Designline’s Enchanted Midnight Shampoo, as well as options from Redken and Fudge. For more hair styling tips straight to your inbox, sign up to our Newsletter.